Yoga Namaskar is a very simple and complete process by itself. 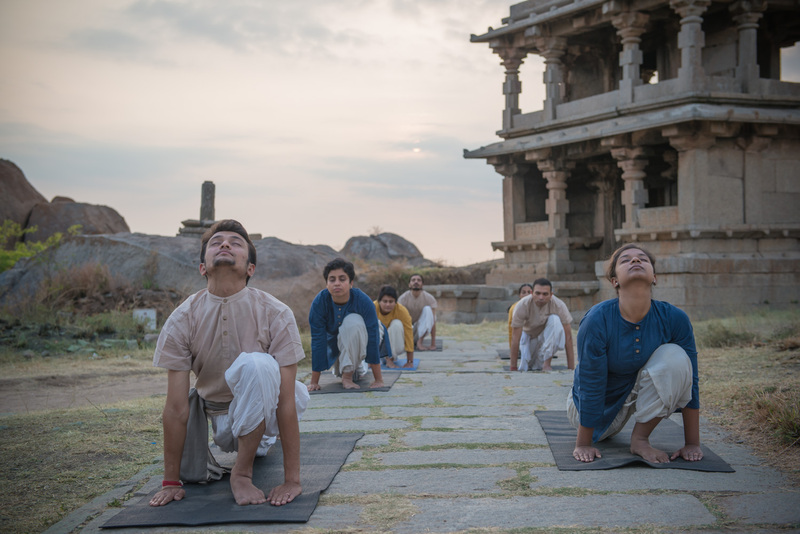 Yoga Namaskar activates the lumbar part of the spine in a tremendous way, strengthens the muscles along the spine giving it a reinforcement so that as on ages the collapsing of the spine which causes pinching of the nerves does not happen and already if the damage is setting in the best way to regenerate your spine would be doing Yoga Namaskar. It has all round benefits for the entire body. Brightens the eyes and face. It improves the aura in the face. People who are concerned about their beauty can do it. Actors can do it. From JUNE 10 - 12th, 2016.